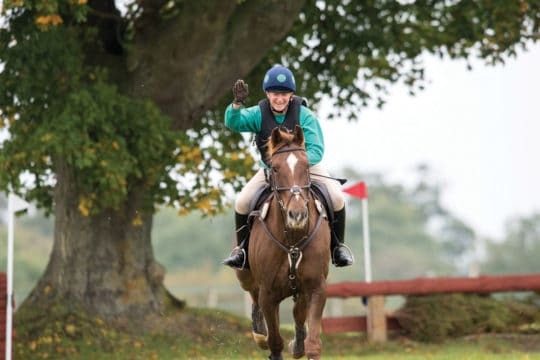 Being on the forehand is one of those terms that gets mentioned all the time, but riders often don’t understand what it means or how to fix it. Simply put, it’s a question of balance – or the lack of it. When he’s on the forehand, your horse takes more weight on his shoulders and front legs than on his hindquarters (where his engine is) and it feels as though he’s tipping onto his nose. Moving in this downhill fashion makes it harder for him to carry himself – think of how it feels to run down a hill – and, because his engine is disengaged, he’ll find it difficult to maintain impulsion. 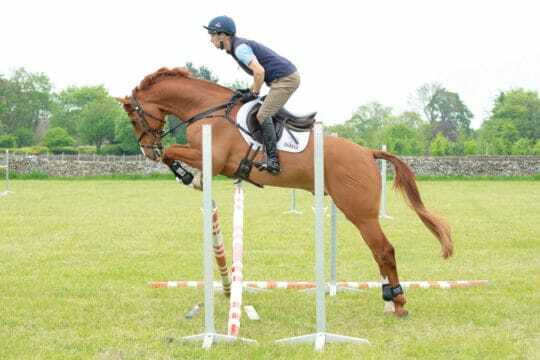 You can normally tell if your horse is on the forehand because he’ll lean on your hands in an attempt to balance himself, meaning he feels heavy in front. Teaching your horse to come off his forehand and take his weight behind is fundamental to dressage success – without it, he’ll struggle with test movements and your marks will suffer. 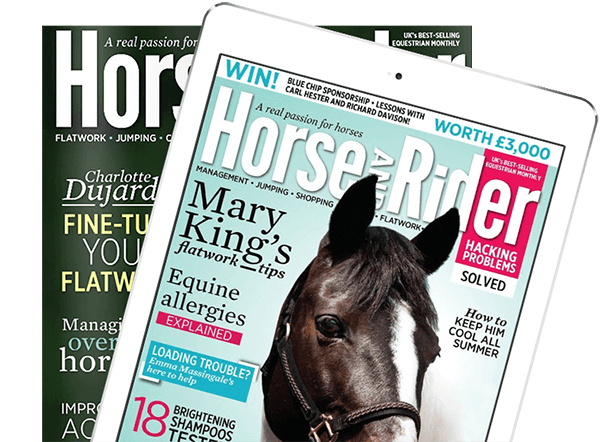 Conveniently, though, the exercises that highlight whether your horse is on the forehand are also key to correcting it. 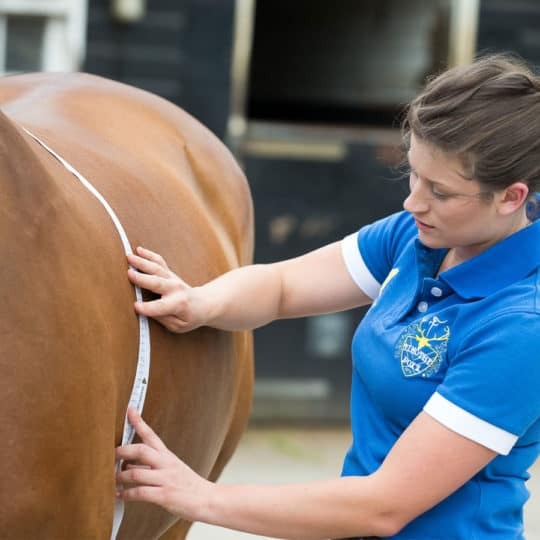 Transitions are the easiest way to test your horse’s balance. 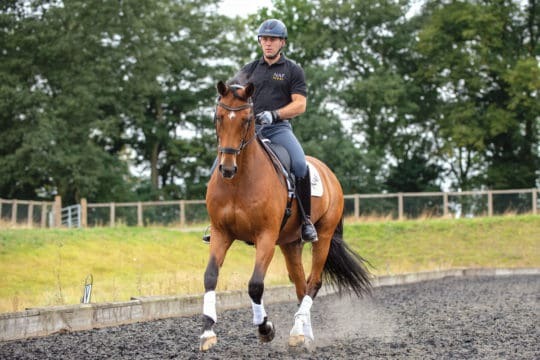 Your horse can give an impression of being in perfect balance when he’s moving forward, even if that isn’t necessarily the case, but any instability in his self-carriage, or unevenness in your contact, will be highlighted when you ask for a change of pace. 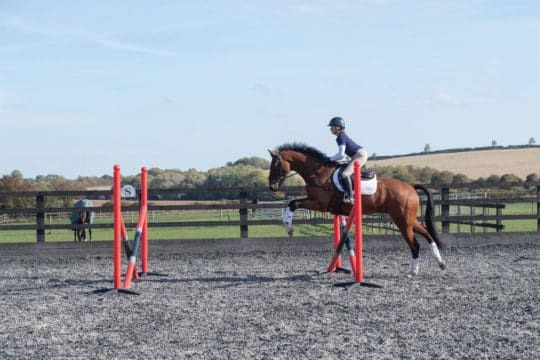 Establish a 20m circle in canter. To develop balance, rhythm and connection, you need to have continual communication with your horse down the reins. 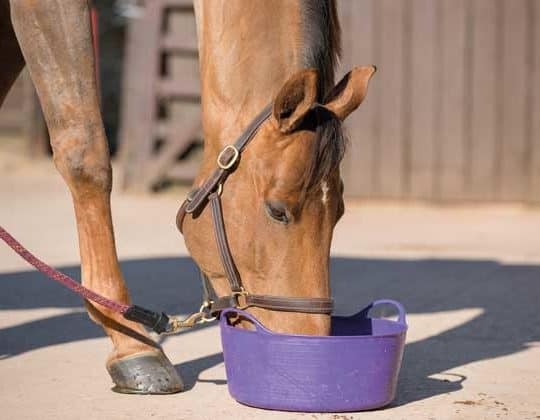 Do this by softly spongeing them with your fingers – as well as keeping your horse focused, this creates a more fluid rein pressure, making it harder for him to lean on the bit. Imagine your circle is the face of a clock and make a downward transition to trot at 12 o’clock. Use your body, rather than a strong rein aid, to ask for the transition. To do this, simply stop riding the pace, so your core and hips freeze and your body collapses slightly, and back it up with a soft voice aid under your breath. 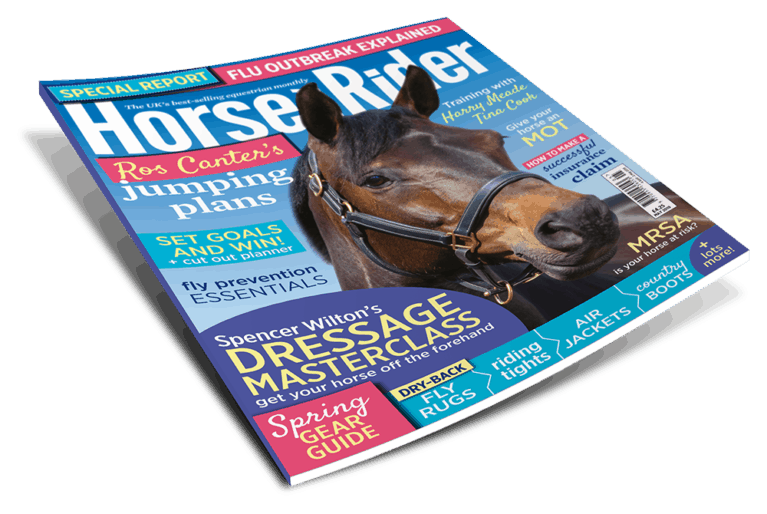 You may need to use some rein pressure at first, but gradually your horse will learn to listen to what your body is doing, and you should see a much sharper response from him. 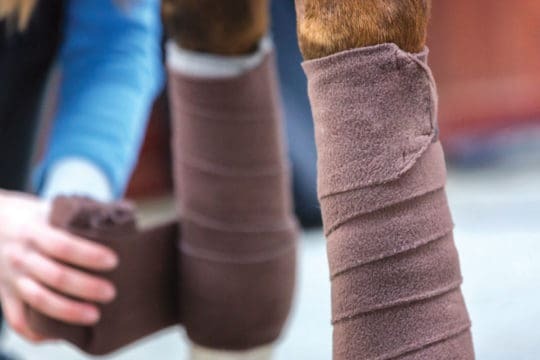 After a few steps of active trot, ask for canter again. Your horse should move smartly off your leg, propelling himself forwards from his hindquarters, and be light in the forehand. As his balance improves, add a transition at 3, 6 and 9 o’clock, so you’re riding one in every quarter of the circle. It should feel as though he’s landing tail-first, rather than nose-first, in a downward transition.